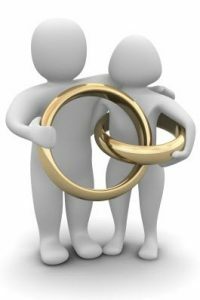 Who is a “Spouse” under the Wills Estate and Succession Act? Can you have more than one spouse under WESA? The short answer is yes. You can have more than one spouse under the Wills, Estates and Succession Act. In, Connor Estate (Re), 2017 BCSC 978, Mr. C applied for a declaration under s. 2 of WESA that he was the spouse of the deceased in order to claim a share of the deceased’s intestate estate. Although the deceased was not legally married and had no children, Mr. C claimed to her common law spouse under s. 2 of WESA. If Mr. C was found to be a spouse, the entire estate would be given to him. Then deceased’s five siblings, also seeking a portion of the estate, argued that although the deceased and Mr. C had been in a relationship it was not a “marriage like relationship” to be a spouse under the legislation. Under s. 2 of WESA, a person is considered spouse of another if, they were married or had lived with each other in a marriage like relationship for at least two years. (b) they had lived with each other in a marriage-like relationship for at least 2 years. (b) they continue to live together for one or more periods, totalling at least 90 days. (3) A relevant time for the purposes of subsection (1) is the date of death of one of the persons unless this Act specifies another time as the relevant time. (a) Did the parties live under the same roof? (b) What were the sleeping arrangements? (c) Did anyone else occupy or share the available accommodation? (a) Did the parties have sexual relations? If not, why not? (b) Did they maintain an attitude of fidelity to each other? (c) What were their feelings toward each other? (d) Did they communicate on a personal level? (e) Did they eat their meals together? (f) What, if anything, did they do to assist each other with problems or during illness? (g) Did they buy gifts for each other on special occasions? (e) Any other domestic services? (a) Did they participate together or separately in neighbourhood and community activities? (b) What was the relationship and conduct of each of them towards members of their respective families and how did such families behave towards the parties? (a) What were the financial arrangements between the parties regarding the provision of or contribution towards the necessaries of life (food, clothing, shelter, recreation, etc.)? (b) What were the arrangements concerning the acquisition and ownership of property? (c) Was there any special financial arrangement between them which both agreed would be determinant of their overall relationship? The question for the court in this case was whether Mr. C, had proved on the balance of probabilities with admissible evidence that he was in a marriage like relationship with the deceased at least 2 years before her death. The evidence presented to the court was that Mr. C and the deceased had an intimate relationship spanning over 21 years. The relationship began while Mr. C was still married and continued after his eventual divorce from his wife. Mr. C and the deceased shared a bank account, a financial advisor, and took vacations together which included vacations where they referred to each other as husband and wife. They spoke on the phone and texted every day. More complicated was that Mr. C’s had been married to someone else during this time. The 5 siblings argued that it was legally impossible for Mr. C to have a marriage like relationship until after his divorce because a person cannot have two co-existing marriage-like relationships that are recognized by the court. Mr. Justice Kent rejected this line of reasoning. He reaffirmed that although a person who is not legally divorced does not have the legal capacity to enter a common law relationship, that capacity is not required to be considered in a “marriage like relationship” under WESA. Even though Mr. C and the deceased maintained separate residence, Mr. Justice Kent found that they were in a marriage like relationship for over 21 years, even though Mr. C had been legally married to someone else for part of that time. As a result, he held that Mr. C qualified as spouse under S.2 of WESA. Excellent site you have here but I was curious about if you knew of any discussion boards that cover the same topics talked about in this article? I’d really love to be a part of group where I can get feed-back from other knowledgeable people that share the same interest. If you have any suggestions, please let me know. Cheers! Hey there! Someone in my Facebook group shared this website with us so I came to check it out. I’m definitely enjoying the information. I’m book-marking and will be tweeting this to my followers! Superb blog and amazing style and design.